I'm playing with the idea of writing a round-up post like this every fortnight, a space to share a few snippets of news and gossip, some Links of Note and a few amnesty photos that wouldn't otherwise get a blog post of their own. Orange's sister restaurant in Windsor, Pandora's Box, closed very suddenly a few weeks ago. Although I never got around to writing a blog post about it, I ate there twice and was impressed by the smart, Greek-accented Euro bistro fare and sharp service. 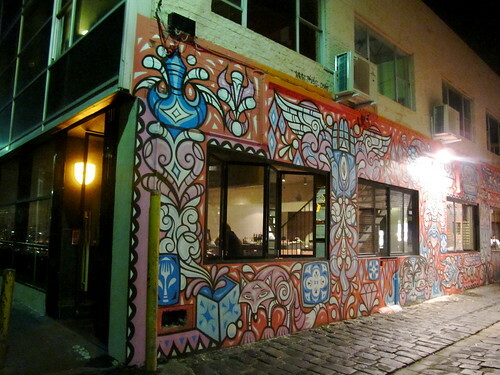 But all is not lost: rumour has it that Melbourne restaurant heavyweight Con Christopoulos (The European/Supper Club/Siglo/City Wine Shop, Gill's Diner, Pelican) has purchased not just Pandora's Box but Orange too. 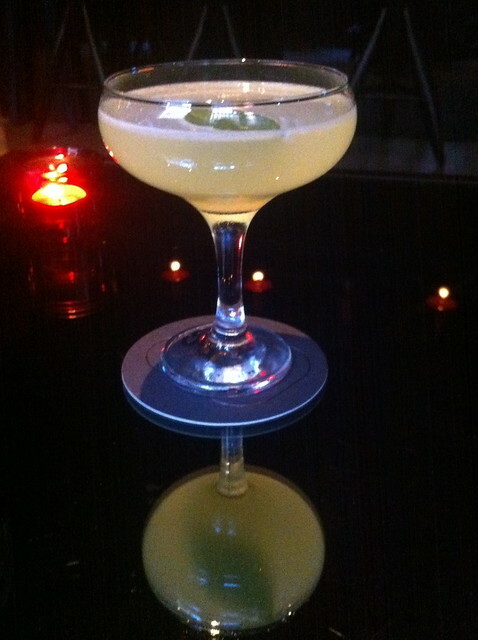 Here's hoping Pandora's Box reopens and Orange gets a lift and a new menu. 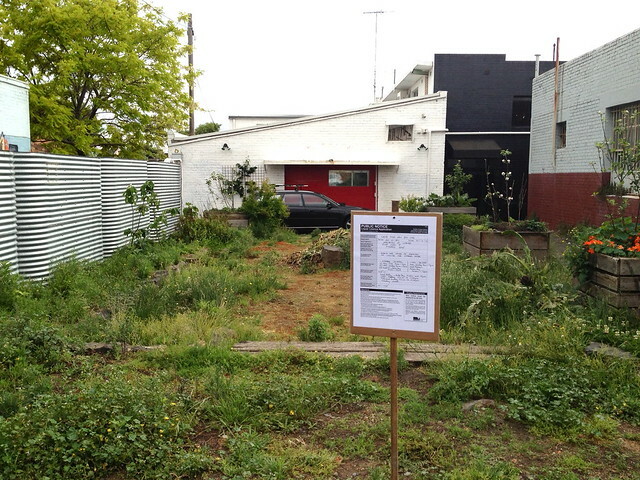 Word on the street is that the vacant lot on Moor Street, Fitzroy, behind the Labour in Vain and Galerie Montmartre will soon be home to a permanently parked food truck, dishing up both food and booze to hipsters seven days a week. The company running it is called Grub Food Van but no word yet on what it'll be selling - what's to bet it'll be burgers, tacos or gourmet snags? Speaking of Moor Street, I also hear that the two adjoining sites across the road (the Vintage Sole shoe shop on the Brunswick Street corner and Kennedy Nolan architects) have been bought by a certain prominent restaurant group that has plans to transform the sites into one large, upscale eatery. We shall see! UPDATED 8/12/11 TO ADD: Here are the first photos of the food truck being set up on Moor Street (courtesy of the lovely Michelle from Galerie Montmartre next door, and the lovely Fenn from Adioso across the street). 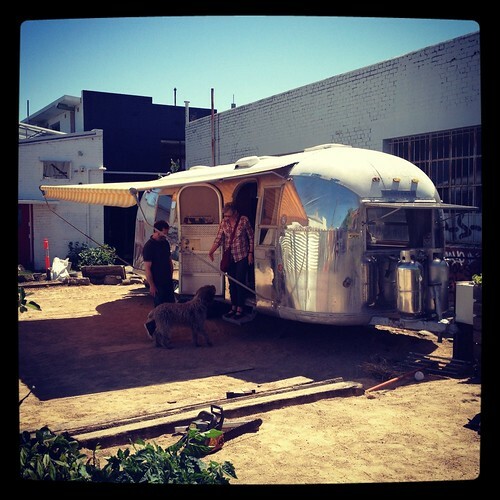 Not only is the food truck a beautiful vintage Airstream, word on the street is that THEY WILL BE SELLING TACOS. Cue Fitzroy hipster meltdown! A few weeks ago I had the pleasure of acting as one of the guest judges in the Sommeliers Australia Best Sommelier of Australia grand final. The winner, Franck Moreau from Sydney's Merivale group, will represent Australia in the ASI Asia Oceanic Competition in 2012, and the ASI Sommelier Du Monde competition in 2013. Being a part of the judging process (along with food journalists, winemakers and other sommeliers) was a nerve-wracking but fun experience that really deepened my appreciation of the skills involved in being a top somm. The three grand finalists, while all very skilled, had completely different styles of service and it was fascinating arguing it out with the other judges over which styles we preferred. 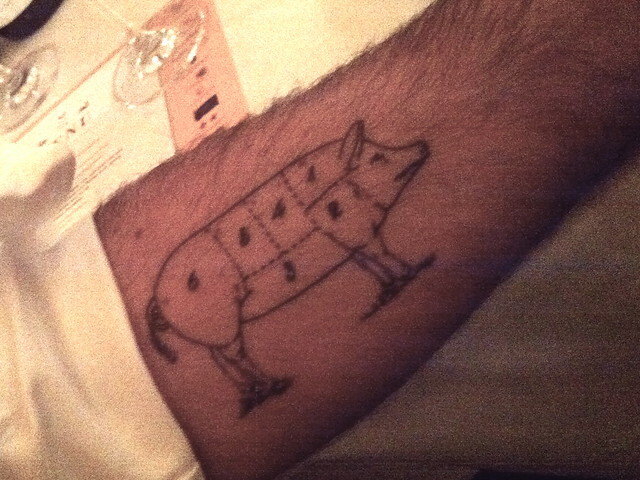 Oh, and at the Annual Sommeliers Australia Ball afterwards I got to check out Peter Marchant's most excellent tattoo. Melbourne's Fringe Food Festival is running a 'Forcing Summer' dinner by Matt Wilkinson out in the lovely garden at Pope Joan on Thursday 1 December, featuring amongst other ingredients some organic forced rhubarb grown in the dark especially for the dinner. An outline of the planned menu and link to the bookings site can be found here - tickets still available. Are you passionate about the future of food in our city? The City of Melbourne is currently developing a Food Policy and has released a Food Policy Discussion Paper (PDF, 2.8MB) as part of its community consultation process. Why have a food policy? The Discussion Paper touches on nutrition and health, sustainability, food security (affordability and accessability) and food safety. Whether you're a stakeholder, an industry organisation or a member of the broader community, the City of Melbourne welcomes any feedback you have on the Discussion Paper (closing date for feedback is Friday 9 December 2011). Two drinks I mightily enjoyed last week: the Thai Basil cocktail from Chin Chin's GoGo Bar, and traditional Colombian hot chocolate from Sonido, served con queso. 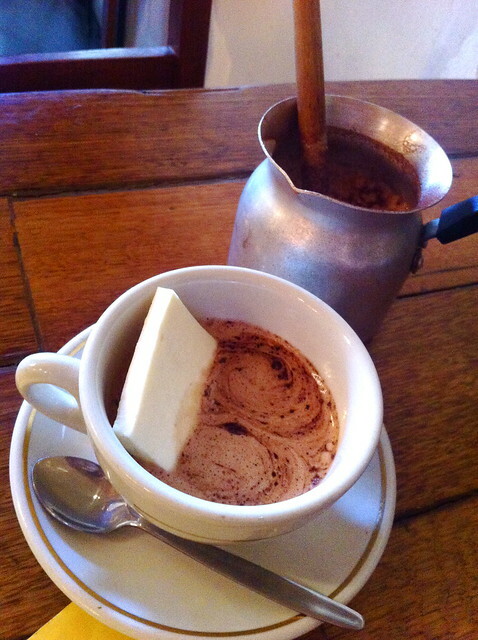 Cheese in a hot chocolate: so wrong it's right. 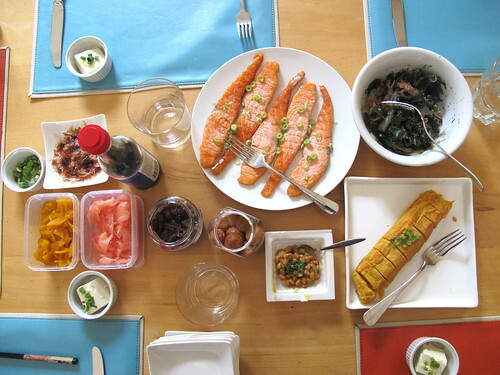 Traditional Japanese breakfast, prepared for our family by the lovely Mari-san on her return visit to Melbourne. 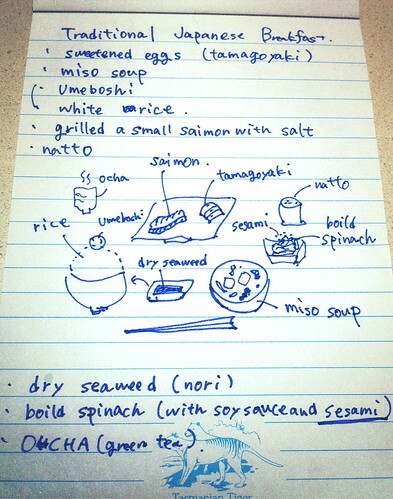 The first time I tasted nattō (very pungent fermented soybeans). Most outrageous cupcake ever: The Elvis, from Beatrix. 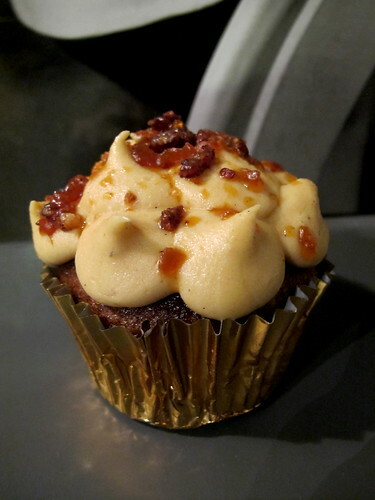 Banana buttercake, peanut butter buttercream and smoky bacon praline, consumed on Saturday. As they said on their Facebook page, it's a hunka hunka buttery love. - Sausage sizzle or popup charcuterie? 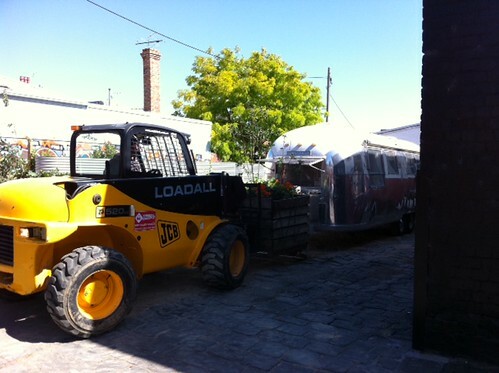 Great article by Phil from The Last Appetite about food truck culture in Melbourne. - In case you missed it, food blogger king David Lebovitz gave a rundown on the Sydney dining scene during his recent trip to Australia. 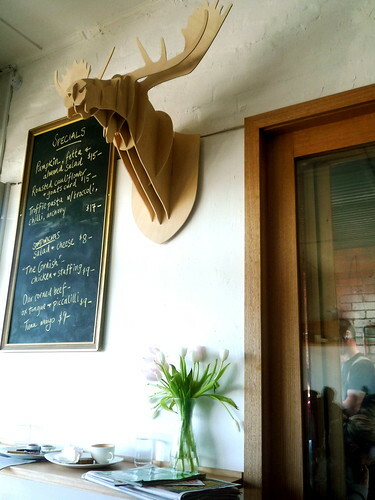 - Sydney design blog yellowtrace recently did a post on places to eat and drink in Barcelona. - The Milk Bar article on new Brunswick cafe Acústico made me keen to visit next time I'm up near Union Street. Add it to the list. - Michael from My Aching Head wrote a blog post entitled How to better engage the new (and old) media. PR people trying to lure decent bloggers to restaurants, take note. - Dan Sims from The Wine Guide gets his rant on about Australia's most expensive wine on release and the Twitter debate that followed. 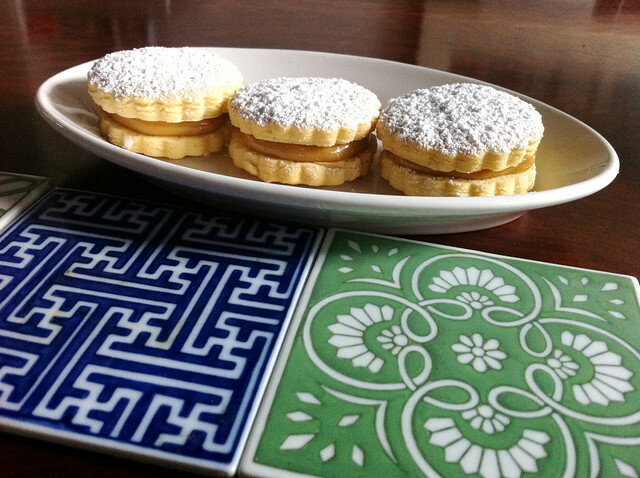 - Five lovely friends of mine who share a house in Fitzroy recently started the excellent group food blog 310 Fitzroy, which I recommend you add to your RSS reader. One of the five is a cookbook editor, all five of them are brilliant in the kitchen, and I have to compete against them in a cooking competition in December. GULP. 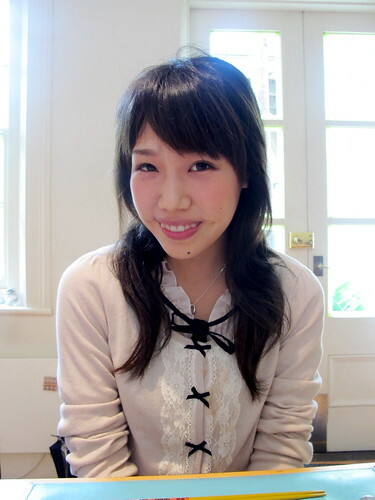 - Another one to add to your RSS reader if you don't already know it: Sydney blog What Katie Ate. Her food photography is gorgeous. - Burger Mary wrote an open letter to My Mexican Cousin (the new Creole-inspired cafe/restaurant at the Melbourne Recital Centre), decrying the recent trend of Melbourne restaurants cashing in on American comfort food. - Ending on an academic note, Tammi's blog post Authenticity: not 'what' but 'why' questions what makes an 'authentic' burrito and offers some interesting thoughts on individual cuisines in a cosmopolitan context. Got a Link of Note from another blog you think I should include next time? Let me know! I've always really enjoyed your amnesty posts, and this seems like a great way to share things that you may never get around to writing a full post about. 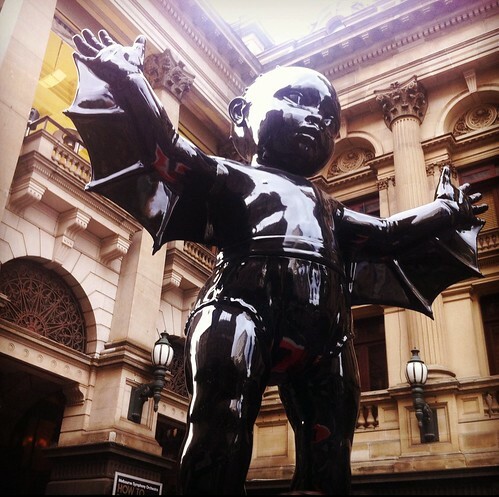 Love the fortnightly round up, the little tidbits and links! love this idea! feel very up to date with whats going on now! ohhh bring on another food truck - can't get enough of them!! And that is one damn good looking cupcake... i must have one! My favourite New Zealand import into Australia is a tie between the cultural learnings of Mr Fred Dagg and being able to buy and consume Whittakers chocolate!